On March 20th five years ago, the UK and US went to war. Thousands of Iraqis died, millions were displaced, and cities were practically destroyed. But why and how? 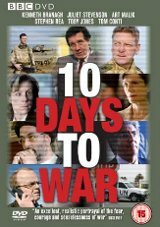 Now a groundbreaking drama goes behind scenes of the countdown to the Iraq war.